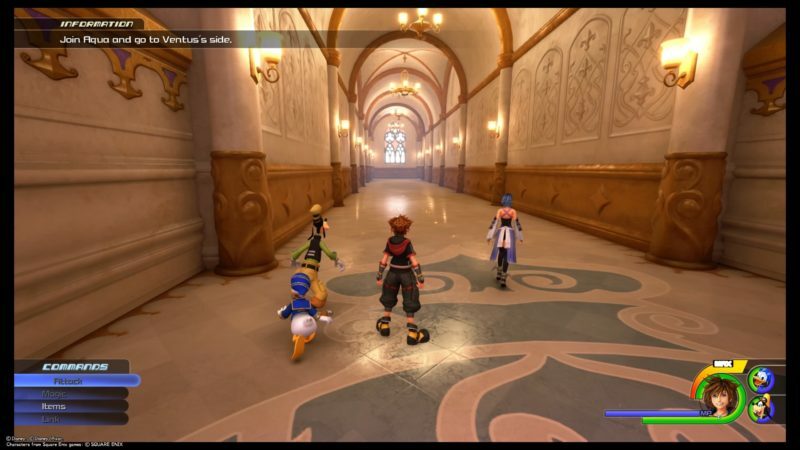 Land of Departure appears in Kingdom Hearts 3 as well, after you’ve completed the eighth world (San Fransokyo). 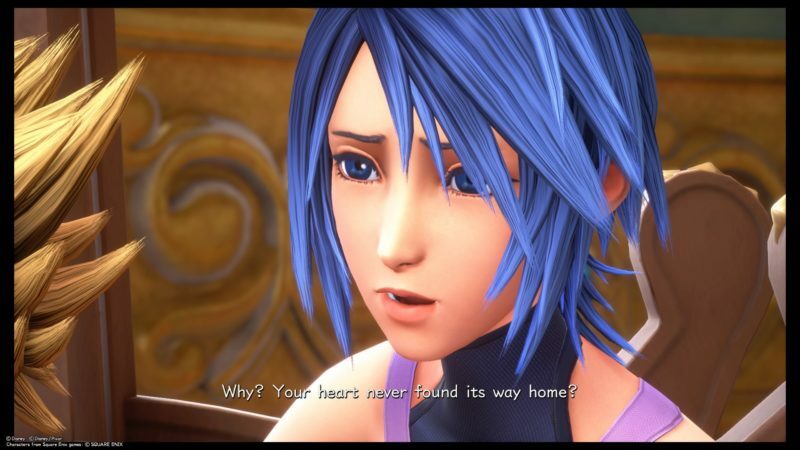 It’s also after Sora, Riku and Mickey rescued Aqua from the darkness. 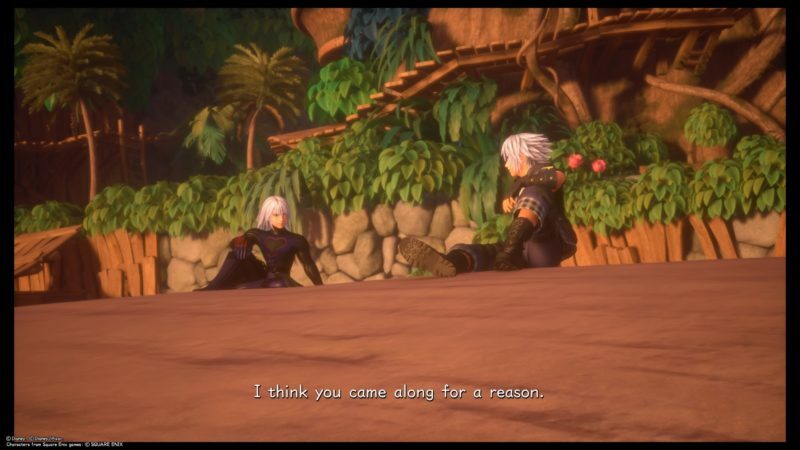 Now, you need to find Ventus. 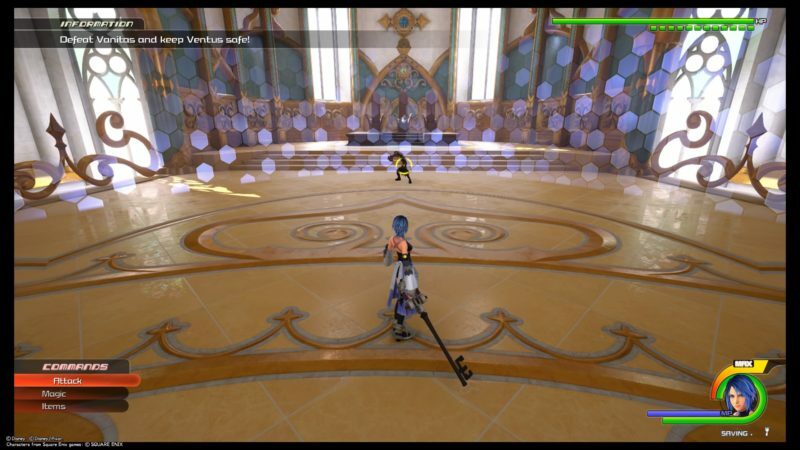 Here’s a walkthrough of Land of Departure in KH3. 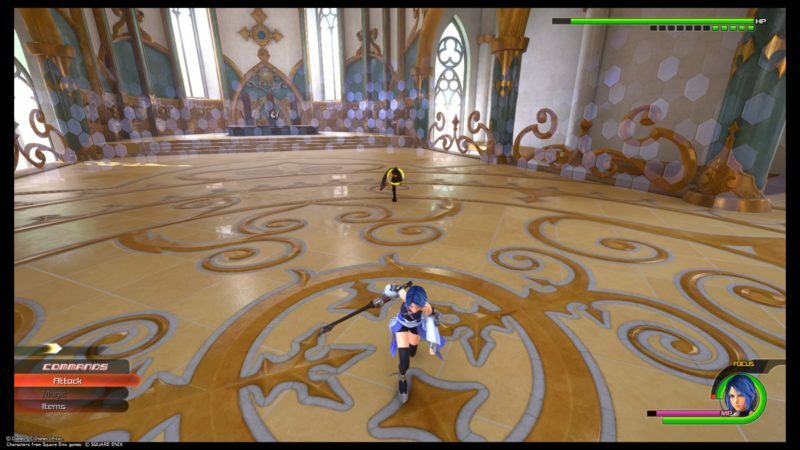 At the Land of Departure (Castle Oblivion), Aqua uses her keyblade to unravel the actual castle where Ventus is in. This part is very simple. You can save the game first. Just go ahead and follow the walkway. It leads to two sets of stairs, one on each side. Use any of them and you’ll reach the same place. 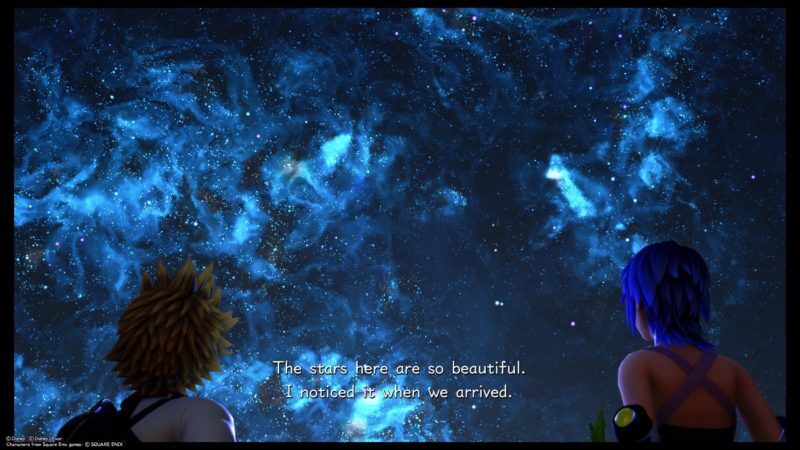 You should see Ventus at the end of the room. Go towards him and a cutscene will load. However, you guys will be interrupted by Vanitas, the same person who came during the Monstropolis story. 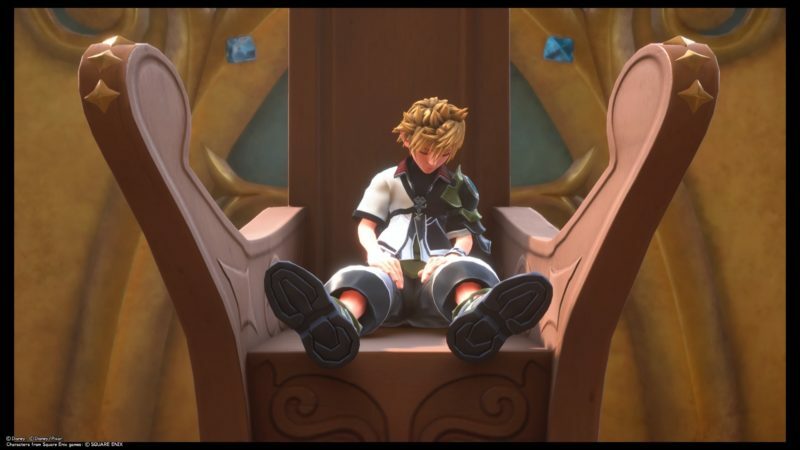 Ventus on the other hand can’t seem to wake up, as his heart is still inside Sora’s heart, and the latter needs the power of waking. 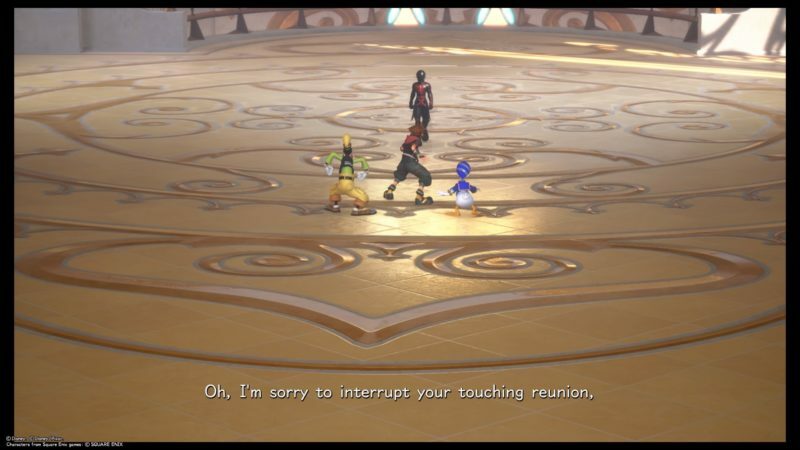 Aqua will then stop the others from this fight. 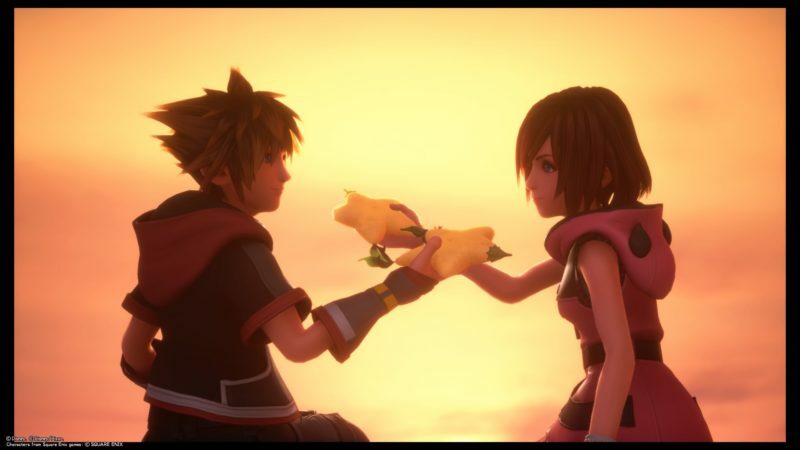 She herself will take care of Vanitas. 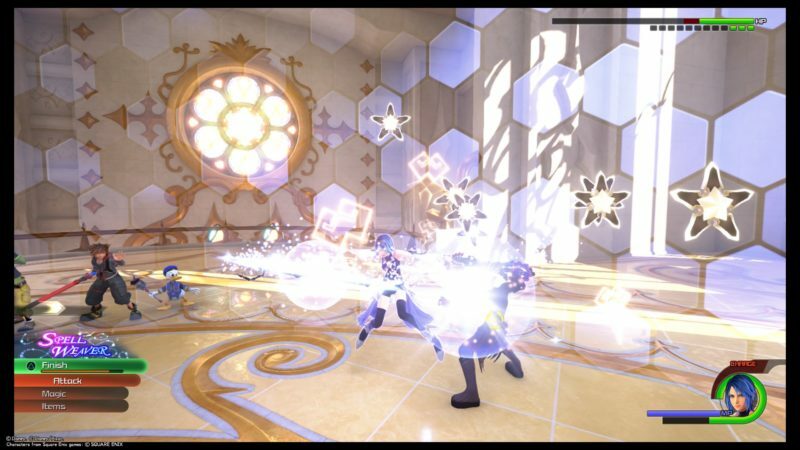 Aqua will also summon a magic barrier which forms the arena of this fight, preventing Sora from coming in. 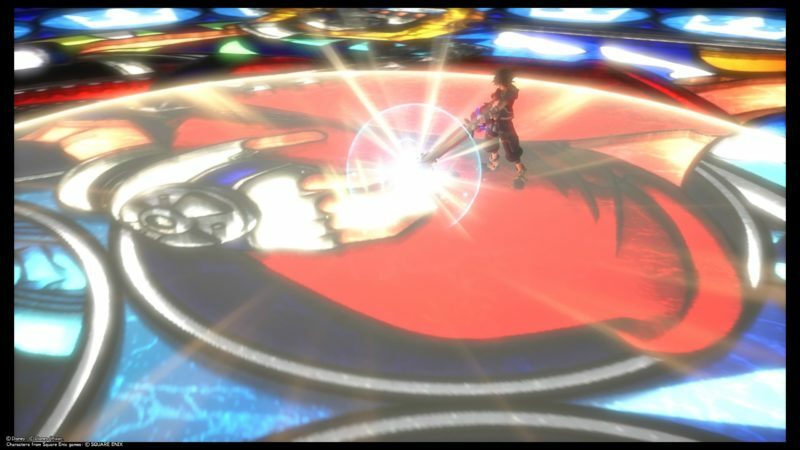 This fight can be tricky, since it seems that Aqua doesn’t have rage form (unless I’m wrong). You can however use Curaga or a hi-potion to heal. Use them wisely. 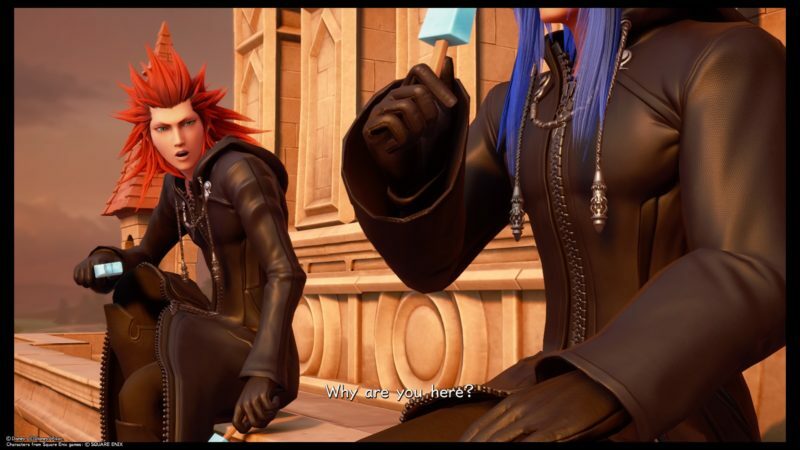 On normal difficulty, Vanitas has about 13 health bars. The annoying part is when it disappears and reappears. Vanitas also attacks really fast and in combos, making it hard to dodge him. Try dodging all of his attacks, instead of trying to counter. Let him finish attacking first before you start. Once he’s stopped, go after him. You can use airstep to get to him quickly and attack him as much as you can. 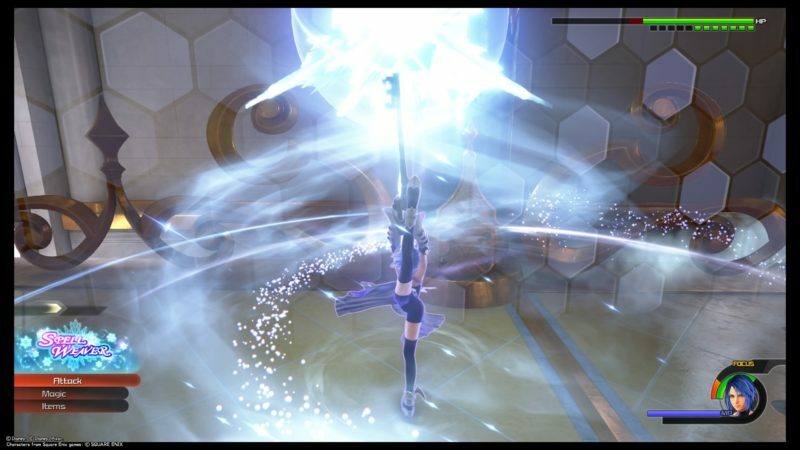 Aqua can also use Spellweaver when her charge bar is full. 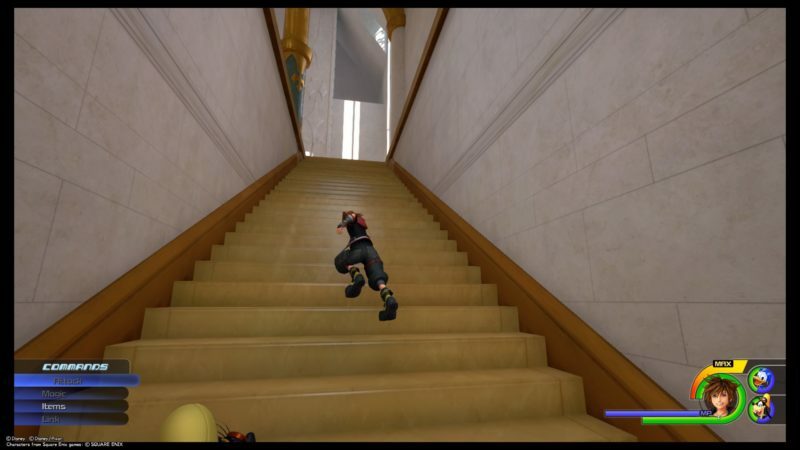 It’s really useful against Vanitas. The finishing move is like a tornado attack. Just make sure to watch your own HP and you should be able to win this fight in one try. It can be quite tricky though. 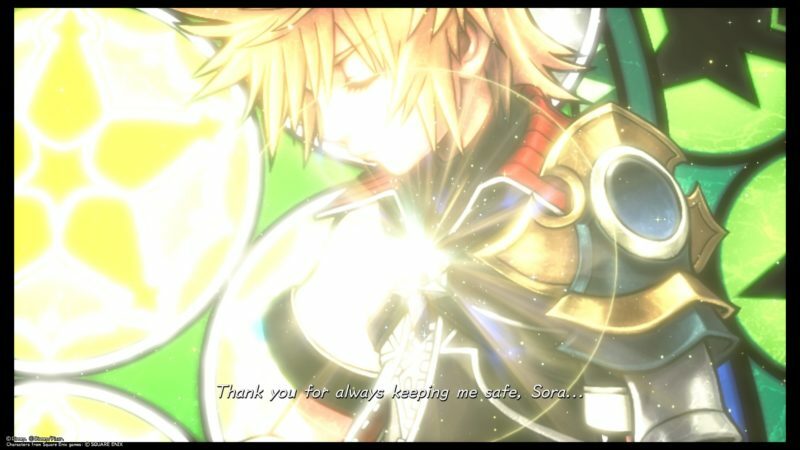 After you win the battle, a cutscene loads. 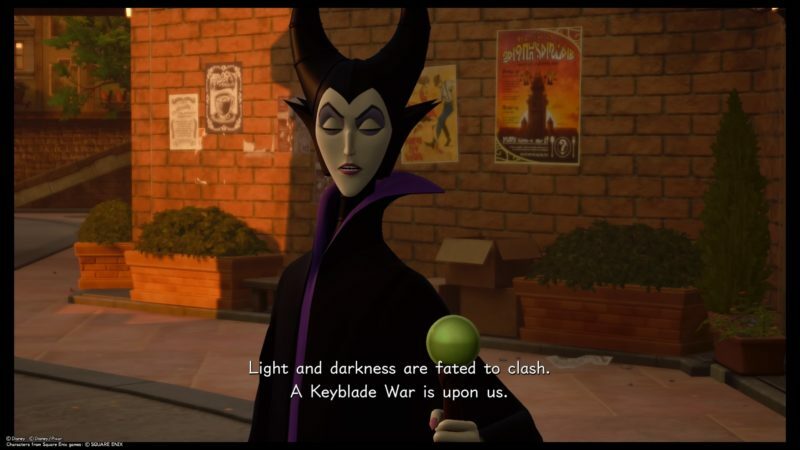 During the cutscene, Vanitas is the one with the advantage. 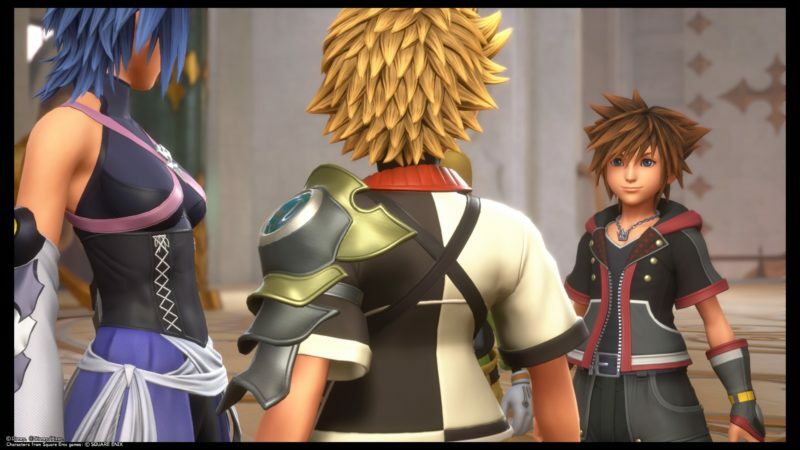 As he prepares to finish off Aqua, Ventus starts talking to Sora in his heart. 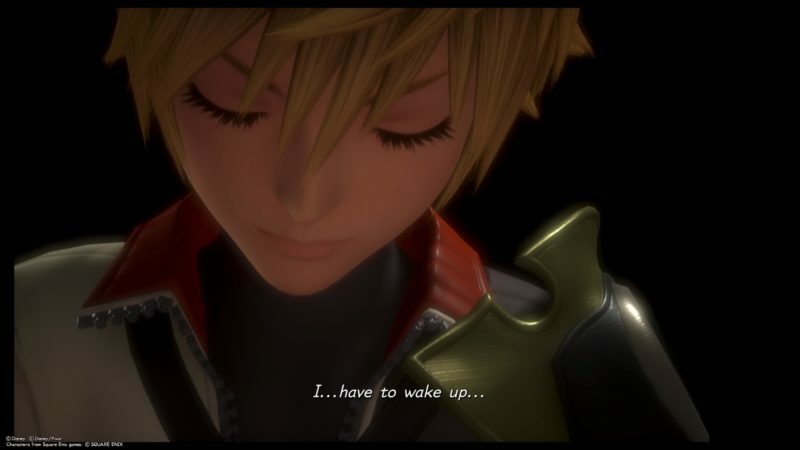 Sora will then be able to use the power of waking and Ventus gets his heart back. 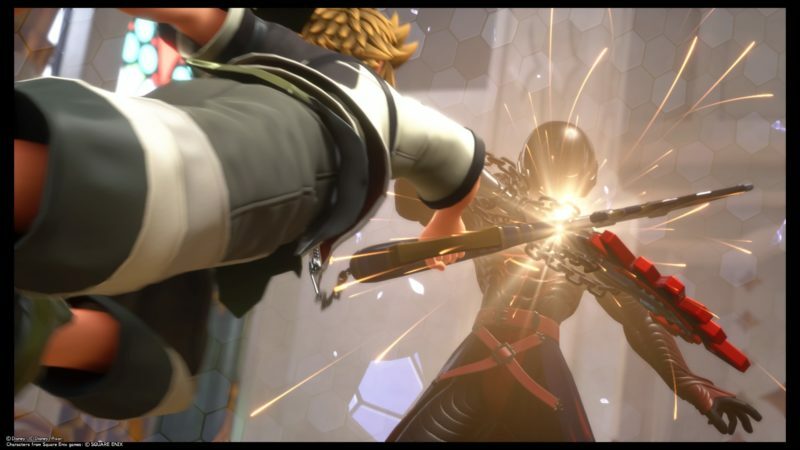 Immediately after waking up, Ventus attacks his brother Vanitas, breaking the magic barrier as well. Vanitas then flees as there are too many guardians of light here. This part is mainly just story telling. 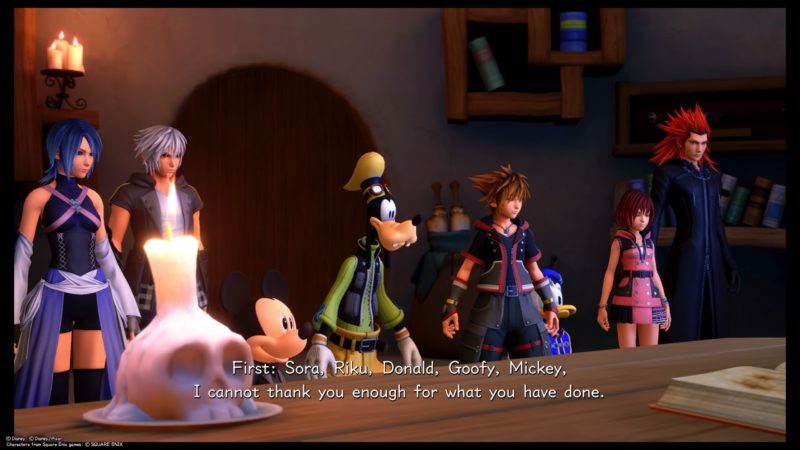 And that’s about it for the Land of Departure in KH3 (unless there’s more later).